In Stephen May v HMRC  TC6928 the First Tier Tribunal (FTT) held that a horizontal silo was plant for capital allowance purposes. A person who is engaged in Qualifying activities is able to claim plant and machinery allowances when they incur qualifying expenditure. S23 CAA 2001 includes silos provided for temporary storage (on list C) as expenditure which is not excluded from capital allowances through being a building or structure. A farmer installed a horizontal silo to store, dry and maintain his grain. iI was fitted with equipment to reduce moisture content to make the grain saleable. This involved pedestals through which air was drawn, and a large wall fan to extract it. The walls were 210mm thick, as against 100 to 150mm for an ordinary grain store. The silo could be used for no other purpose. The silo was specifically designed for that purpose, and cost about twice as much as a barn of the same size. The issue was whether the whole silo was plant subject to capital allowances, or if it was a building. In the latter case, the silo would not attract a capital allowance though some of the equipment would. The FTT held that the silo worked as a single unit and was a silo provided for temporary storage, so it attracted capital allowances as plant. A guide to what capital allowances the self-employed can claim on plant, machinery and equipment. Farmers: what expenses can I claim? 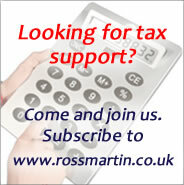 What expenses can farmers claim for tax purposes? Are there special tax and accounting rules for farmers? What are the rules for VAT for farmers? This guides answers these questions and more. Our guide to capital allowances specific to the farming industry including pig farming. A detailed guide to the new structures and buildings allowance introduced in October 2018. Stephen May v HMRC  TC6928.